The Aspire Tigon Sub-Ohm Tank is a highly versatile tank that will satisfy a myriad of vaper’s needs and desires, implementing a child-safe top fill system, self-sealing wicking ports during coil installation and changes, and can access the Aspire Tigon Coil Family. 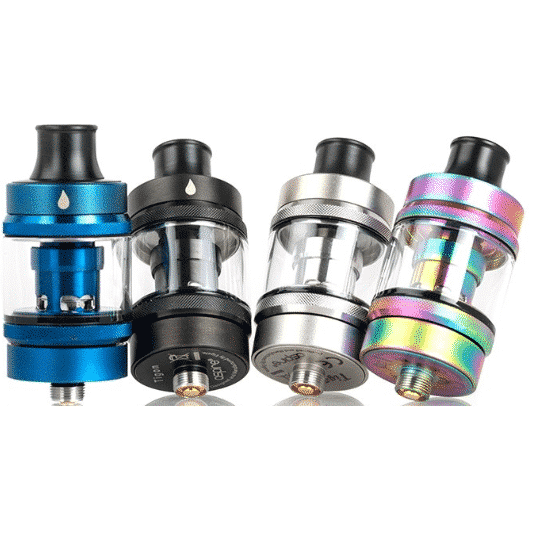 The Aspire Tigon Sub-Ohm Tank is a highly versatile tank that will satisfy a myriad of vaper’s needs and desires, implementing a child-safe top fill system, self-sealing wicking ports during coil installation and changes, and can access the Aspire Tigon Coil Family. Constructed from durable 304 Stainless Steel and possessing quartz glass reinforcement, the Tigon Tank is moderately protected against falls and drops that would otherwise break lesser tanks. In addition, the Tigon Tank features a child-safe top fill system, accessible by lifting the top cap and sliding it back to reveal a self-sealing fill port. At the base, a threaded bottom hides the coil changing area that operates on a push and pull installation process. During this coil change, a spring-loaded sleeve comes down simultaneously as the coil is removed to seal the wicking channels preventing any leaks or spills while renewing coils. 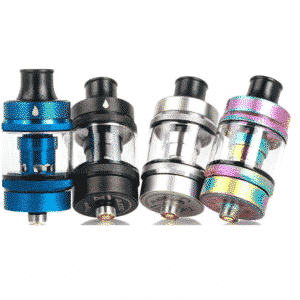 Furthermore, the Tigon tank can access the 0.4ohm or 1.2ohm coils for eJuice and nicotine salts juice, respectively. At the bottom is an airflow control ring that features 5 MTL vaping options or a wide single slotted airflow inlet.